A landlord in Wisconsin won a reprieve this week after being charged for running a nuisance property. The charges carried the threat of a $1,400 fine, possible forfeiture and subsequent sale or demolition of her rental property, according to a news report. The case was brought under a rental ordinance that requires landlord to evict tenants involved in criminal activities — or face the consequences. The charges against the landlord were dropped because the underlying case against the tenant was dismissed when it was discovered that a key witness had not personally observed the alleged drug transaction. Likewise, previous allegations against the tenant for selling drugs were dismissed. The case highlights a significant challenge that landlord’s face when cities pass these crime ordinances. The burden shifts to the landlords to prove that the tenant has violated the lease agreement. In many cases, they must do so without a summons or even a police report to substantiate the case against the tenant. It also highlights a perception that persists regarding crime in rentals. While it may be statistically more likely for crime to occur in or around rental properties, that could result from the fact that in some cities 40 percent or more of residents rent. Often, long-term residents are resentful of properties converted to rentals, and are overzealous to report activities to the police. Landlords who do not live nearby are automatically deemed neglectful when, in fact, those landlords have as much to lose as anyone if the property declines or is damaged. Strict nuisance ordinances like the one described above have become increasingly more common. But Tempe, Arizona officials are trying a different tack when it comes to solving problem of crime in rental properties. The City of Tempe has launched it’s Crime Free Single Family Rental Housing Program. This voluntary program allows a landlord to register to become aware of any legal infractions that might be occurring in the property — things that tenants won’t necessarily volunteer. According to the City’s website, the program is a response to complaints from neighbors regarding the quality of life around rental properties where crime is present. Once a landlord signs up for the program, he or she will receive an automatic e-mail alert if a Tempe Police Officer has responded to the property address. City officials warn that it takes little time for a crime problem to spiral out of control. Neighbors tend to contact the police rather than the property owner when there is a problem. 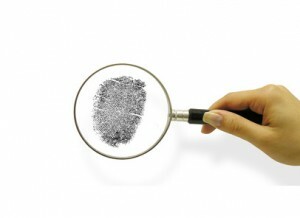 Crime drives down property values, scares away the best tenants, and can lead to property damage and other income loss. This program is a unique way to reduce crime without demonizing landlords who may not be aware of the problem. Managers can attend monthly lunchtime sessions so they are better equipped to cope with crime in neighborhoods. Regardless of your city’s rules regarding crime in rental properties, an effective tenant screening policy that includes a criminal history, credit check and eviction report is the best way to catch bad tenants before they have the chance to do any harm.